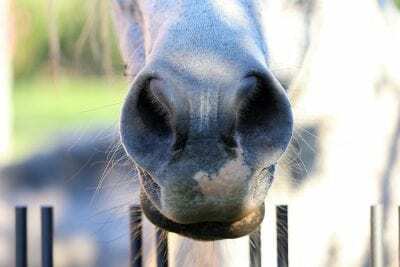 A tiny camera can now give veterinarians a peek into the inner workings of equine intestines, showing them any ulcers or injuries they may contain. Dr. Renaud Leguillette, professor of equine internal medicine in the University of Calgary's Department of Veterinary Clinical and Diagnostic Science, was interested to find out if the camera, used in human medicine, could assist vets in diagnosing intraluminal lesions in the small and large intestines of horses; these lesions are most likely quite common, but are difficult to diagnose, reports The Horse. Presenting at the 2018 American Association of Equine Practitioners Convention, Leguillette noted that capsule endoscopy is able to record video for the length of the battery life and allows horses to be up and engaged in regular activity during the process. The horse is stalled and has no access to feed for 24 hours; water is removed 12 hours before the camera is put in place. This is important to ensure that the lens can see the mucosa clearly. The capsule is then put in place via nasal gastric tube, and water and feed are reintroduced. Leguillette recommends that the horse be fed only hay during the study and that he be kept in a stall or small pen. The horse's manure is collected and the capsule is found via radiograph. It can take between two and 14 days for the horse to pass the camera. The camera is then shipped to the manufacturer for video download and reading. Leguillette reported that the camera spends about four horse in the equine stomach, two to five hours in the small intestine and about 10 hours in the cecum before the battery dies. From the images, Leguillette has been able to identify gastric erosions and ulcerations, submucosal hemorrhage, sand accumulation, parasites and polyps. He feels it will be especially helpful in chronic colic cases or those cases where intestinal tumors are suspected. This entry was posted in Horse Care, NL List and tagged aaep, american association of equine practitioners, camera, Dr. Renaud Leguillette, gastric erosions, grain, hay, intestines, lesions, nasogastric tube, parasites, polyps, record, sand accumulation, submucosal hemorrhage, ulcerations, water by Paulick Report Staff. Bookmark the permalink.